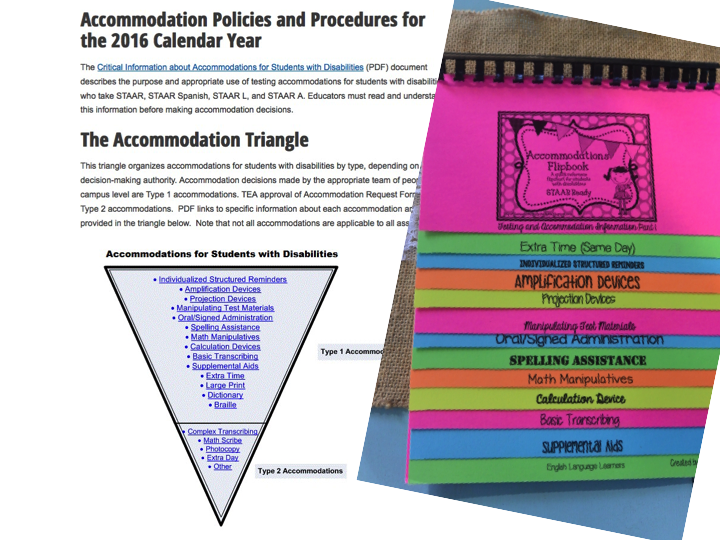 The triangle of accommodations links are shown on TEA's website. I took all the pages and condensed them into a quick-reference page for you. 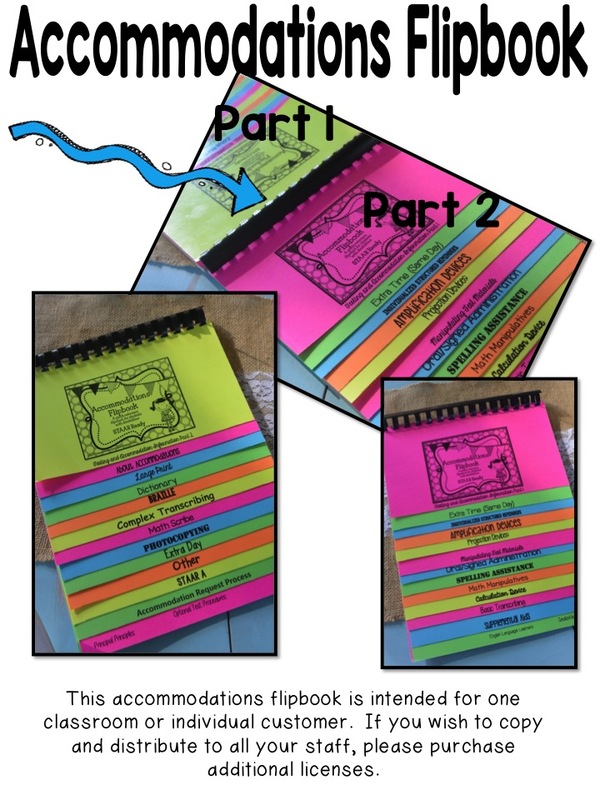 I print each page of the flipbook on a different color cardstock. For my principal flipbook, I laminate it and then bind it. I use my accommodation flipbook so much that it has to be laminated. I don't laminate the classroom teachers because of laminating costs. The cardstock and laminating has held up all year. Look below at how I created one large flipbook. 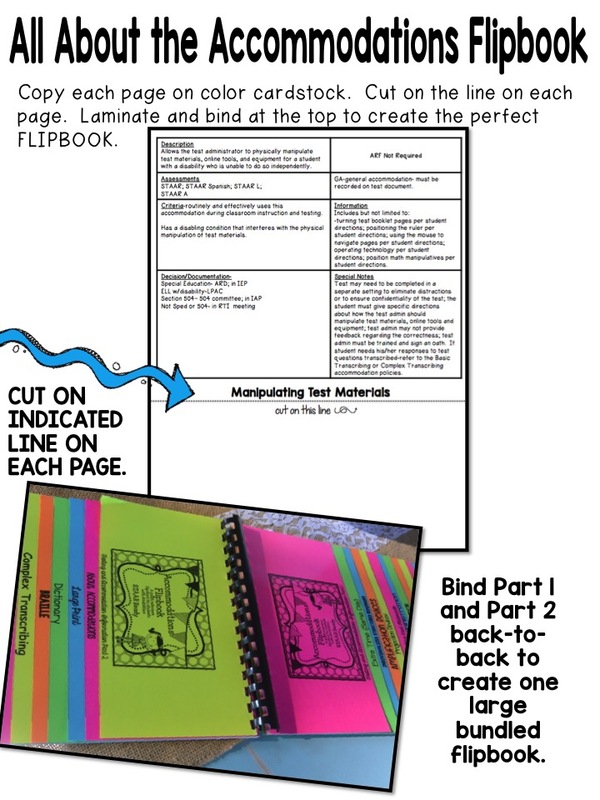 Since the Accommodations Made Easy Flipbook has two sections, I decided to make my flipbook back-to-back. All I do is flip it over to see part 2 of the book. 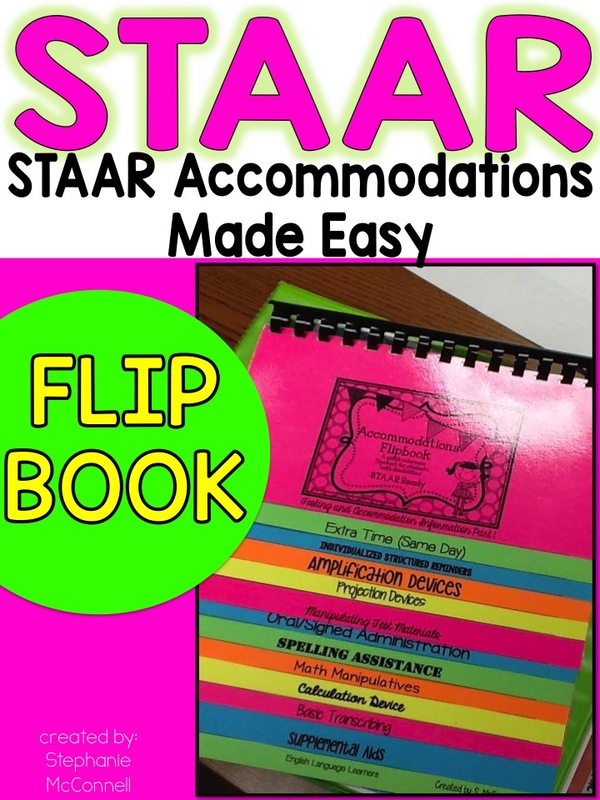 I didn't want to have two separate accommodation books. Having one large flipbook works wonders for me. I use my flipbook in ARD meetings. 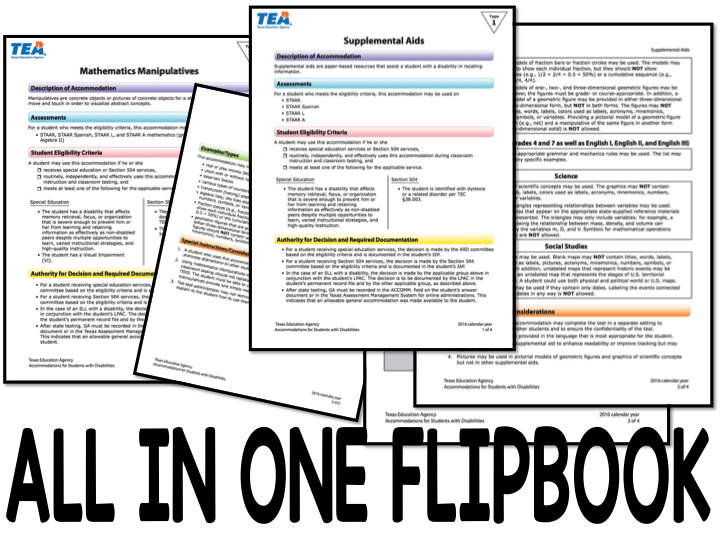 It is on the table or in my Principal Binder for all ARDS. 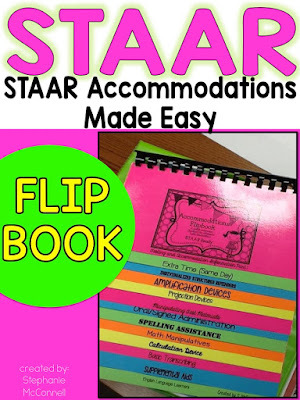 When we are deciding which accommodations to use, I flip through the flipbook to see if the student is eligible for that accommodation for that assessment. I also use the flipbook during 504 meetings and RTI meetings. 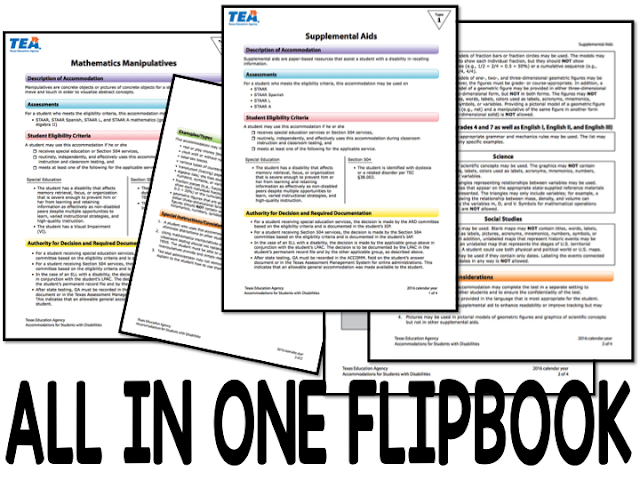 Head over to Teachers Pay Teachers and get the updated flipbook.